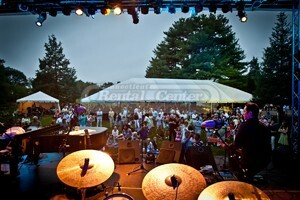 Connecticut Rental Center is proud to have supplied thousands of CT Residents with all of their rental needs for a variety of different types of events. 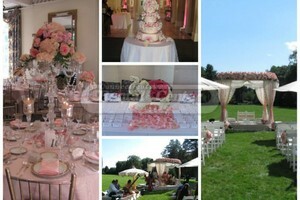 Browse through our gallery and take a look at some of the unique and beautiful events that we have been apart of. 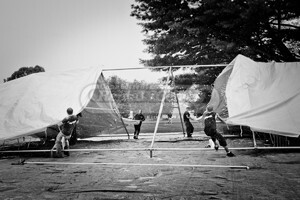 Do you see a photo or theme that you love? 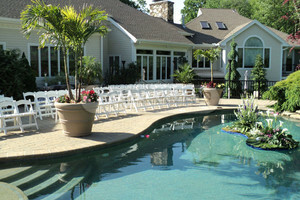 We have experienced event coordinators that can help your vision come to life! 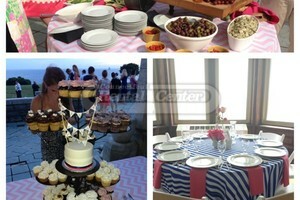 All guests enjoyed this summer wedding on the water in Waterford! 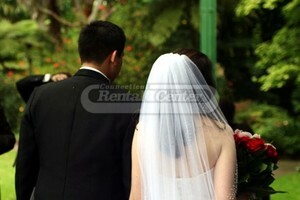 A picture perfect wedding for a picture perfect couple! 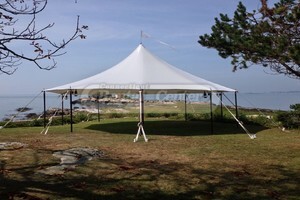 Take your guests' breath away with a stunning sailcloth tent, like this one setup on Thimble Island. Green is the Pantone color of 2017, not just for St. Patrick's. 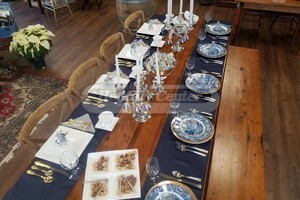 A Beautiful Table Set Up For Any Occasion! 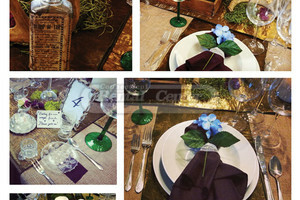 This table setting is perfect for a baby shower, an engagement party, or even a Jack and Jill. It would even be lovely for Mother's Day! 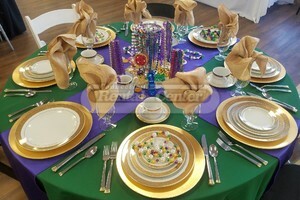 We can bring Mardi Gras to you with this fun table setting. 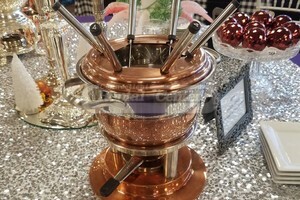 With recipes for cheese, broth, chocolate, and even wine.. A Fondue pot is sure to add real TASTE to your event! 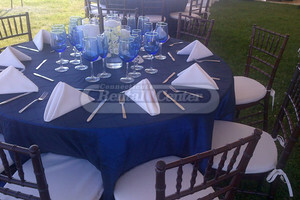 Navy Blue table runners make a beautiful backdrop for any table setting! 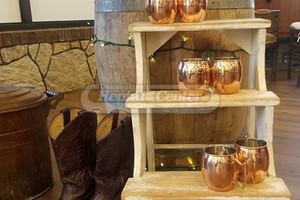 Copper and Moscow Mules are trending going into 2017- Impress your guests with a stylish and unique display like this one! 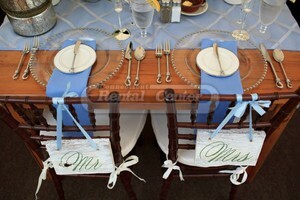 Another creative way to use table runners! 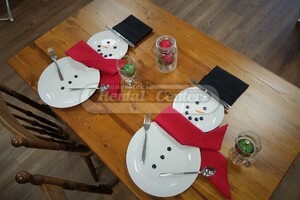 These snowmen table settings are sure to be a hit at any holiday event. 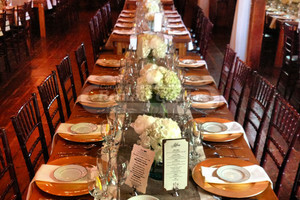 A beautiful table set up for a beautiful couple! Comfy Dancing Feet are Happy Feet! 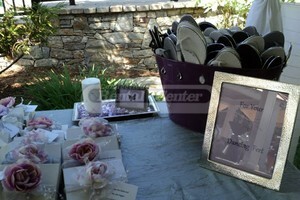 All shades of purple and white adorned this wonderful summer wedding. Dance away! 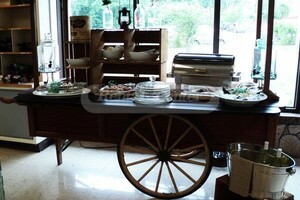 Our Wooden Market Cart mixed with vintage decor makes for a creative, fun, and unique buffet set up! 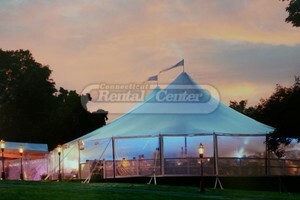 Century tents and a good sunset make for the perfect atmosphere for your next big event. 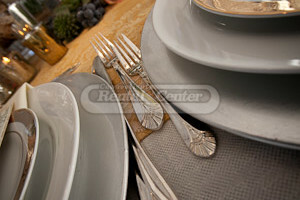 Picking the right table settings can be overwhelming at times. 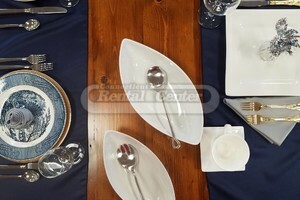 The event coordinators at CT Rental Center can help take some of that stress away by giving you gorgeous options that fit your needs! 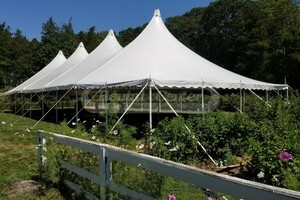 A beautiful vineyard wedding in Connecticut. 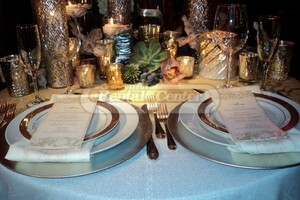 A beautifully ornate table for two! 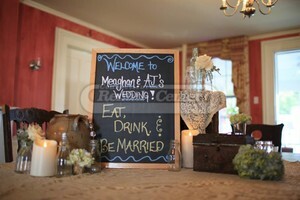 You choose your theme- we'll set the scene! 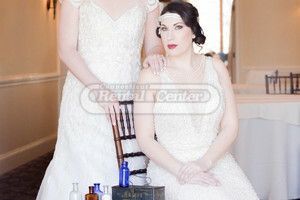 Just take a look at this beautifully staged, Great Gatsby inspired duo. 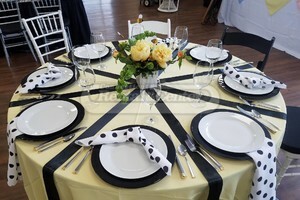 Dance the night away atop a classic, black and white checkered dance floor! 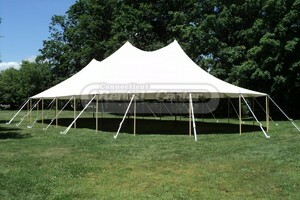 Our Century Tents always look beautiful... 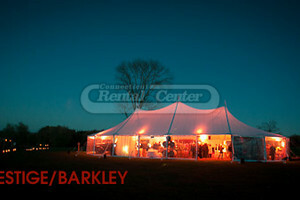 This one just looked especially beautiful at this Barberry Farm event in Madison. 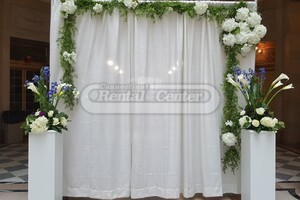 We provide the canvass, you provide the style - dress up any of our white or black back drapes to match your theme. 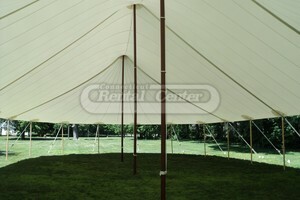 Imagine sitting underneath this tent as the sun sets. 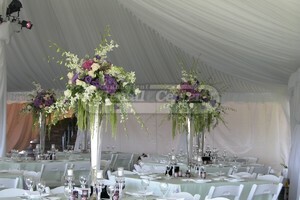 Crystal Chandeliers bring a soft and beautiful light to any event. This couple added just the right hint of color to their black and white themed Rye Mansion Wedding with beautiful floral centerpieces lining each table . 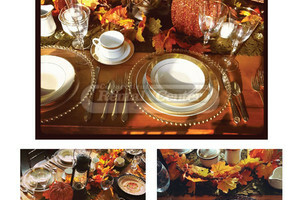 We love Fall in New England, so this event was right up our alley. 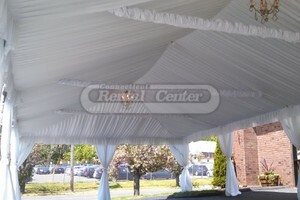 Whether you're looking for a Winter Wonderland or a Spring Fling, CT Rental Center can bring your vision to life. 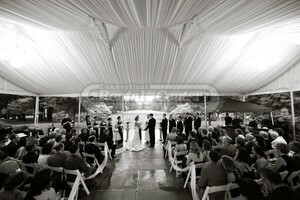 The CT River Museum turned out to be the perfect wedding location for this beautiful couple! Silver Bells, Silver Bells! 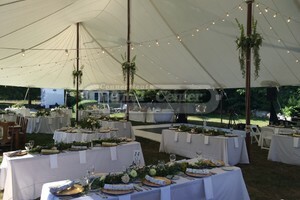 It's Wedding Time in Groton, CT.
Underneath a beautifully lit sailcloth tent, this newlywed couple and all of their loved ones danced the night away and enjoyed the rustic ambiance of the Lyman Homestead. 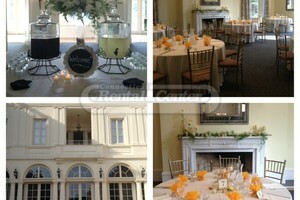 An absolutely unforgettable (and BEAUTIFUL) Indian Wedding at the Wadsworth Mansion in Middletown, CT.
Refreshments! Watermelon juice and Cucumber Mint Water...mmmm! 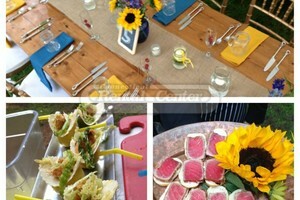 Who says you can't add some real flavor to your next party? 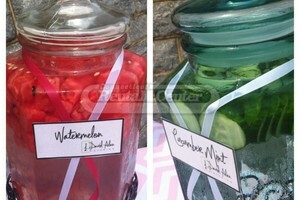 Spice up your next event like this guest did with cucumber and watermelon infused beverages! 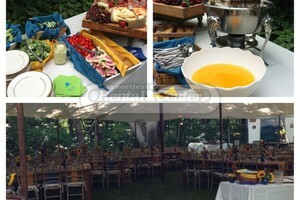 Sailcloth tents and farm tables dressed with sunflowers, fresh fruit, mason jars, and beautiful linens made this backyard wedding one to be remembered. 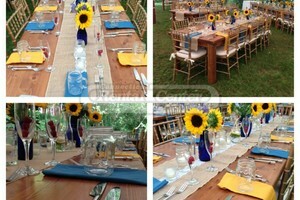 This couple's backyard wedding was brought to life with beautifully set farm tables, sunflowers, and sunshine! Red, Whites, and Blues! 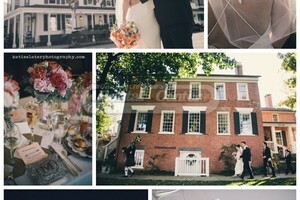 This nautical inspired wedding at the Branford House Mansion was breathtakingly beautiful. 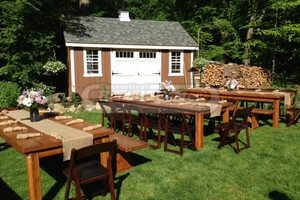 Transform your backyard with beautifully set farm tables, garden chairs, and floral centerpieces. 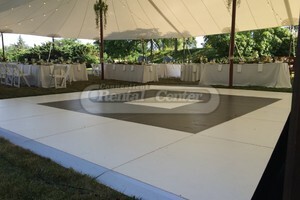 CT Rental Center's Garden Chairs with padding are available in dozens of different color combinations and will provide stylish, comfortable seating for all of your guests! 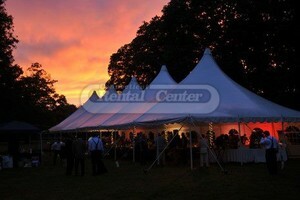 Nothing quite like a sailcloth tent and beautiful sunset. It doesn't get much more beautiful than this! 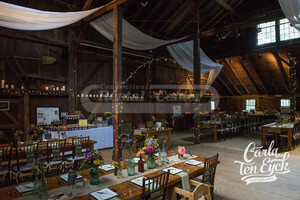 Farm tables, Chandeliers, and Chiavari chairs made this Middletown, CT Wedding one to be remembered. 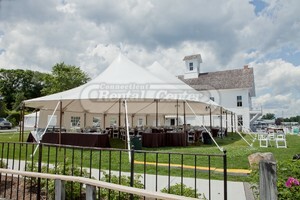 As if the Branford House isn't gorgeous enough as is, these sailcloth tents managed to make it even more breathtaking. Vintage is in! 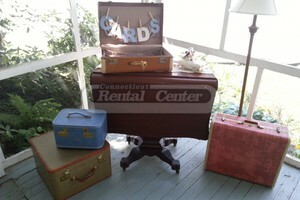 Add a rustic feel to your next event by adding vintage accessories like these beautiful antique trunks, suitcases, and tables. 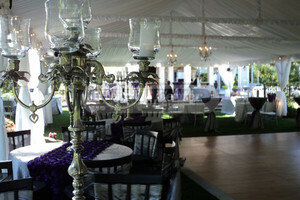 This beautiful, purple & silver satin Wedding was elegantly lit by our Crystal Chandeliers, Silver Candelabras, Tent Lights and Votive Candles. 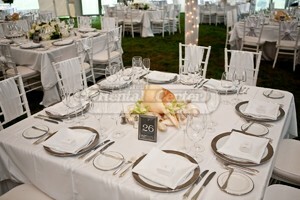 Beautifully adorned farm tables, Chiavari chairs, and the perfect lighting made this Middletown Wedding unforgettable. Grand Ceremony at Hartford City Hall! 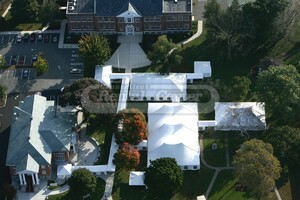 Birds eye view! 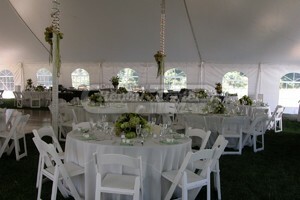 Family and friends sat comfortably atop our white padded Garden Chairs at this Hartford City Hall Wedding. 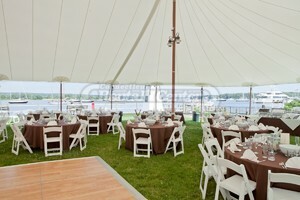 Sailcloth tents bring something to an event that is truly breathtaking. Just look at the natural beauty of light and how it shines perfectly through the lightweight fabric. 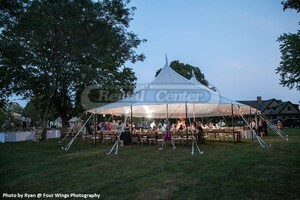 This event's location at the Prium Vineyards really made it an unbelievable beautiful sight. 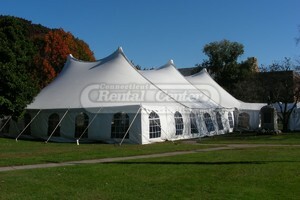 Have the experienced team at CT Rental Center install a sailcloth tent for your next event! 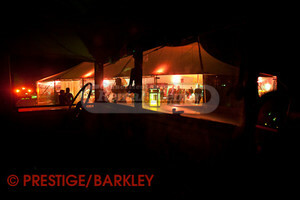 A view from inside one our Sailcloth Tents. 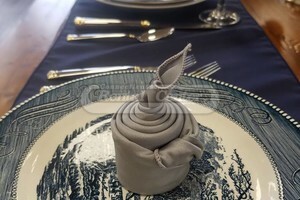 The options are endless when it comes to decorating them! 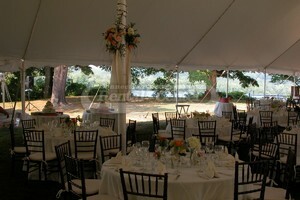 The CT River Museum was even more beautiful after we finished setting the scene under one of our sailcloth tents along the water. 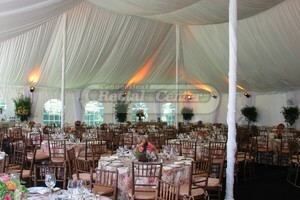 A Sailcloth Tent lit by Chandeliers and Onion Lights provides an elegant ambiance for any wedding. 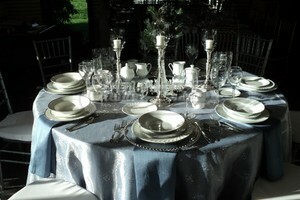 Our White Satin Tablecloths dressed with our Majestic Ivory & Gold Band China, Manhattan Silverware, and Sheer Rim Glassware made for an absolutely gorgeous table set up. 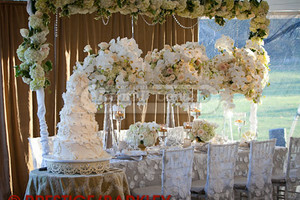 This wedding was truly a beautiful site! 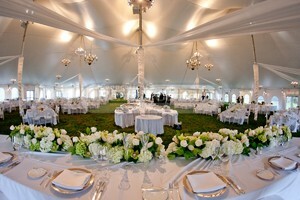 Underneath one of our Century Tents, our Fruitwood Chiavari Chairs and floral themed table settings provided the perfect ambiance for this event. 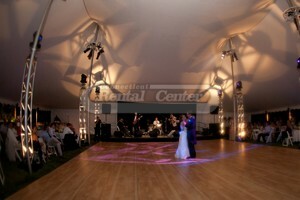 Dance the night away atop one of our wood plank dance floors! 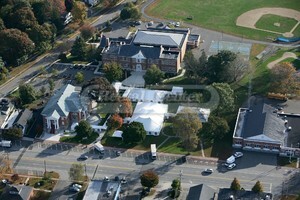 Birds-eye view of this mix of our Century Tents, Marquee Tents, and Frame tents! 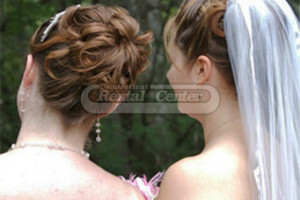 CT Rental Center helped make this couple's special day even more special! 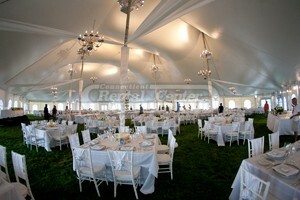 Underneath one of our Century Tents, a dream wedding came to life! 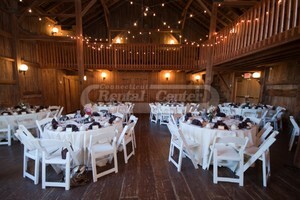 Wooden Garden Chairs and beautifully set tables added even more elegance to this Wesleyan Barn Wedding. 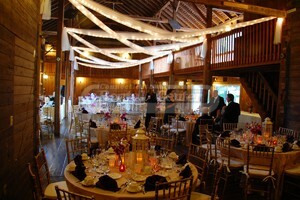 Check out this view from inside a very special Weslyan Barn Wedding. 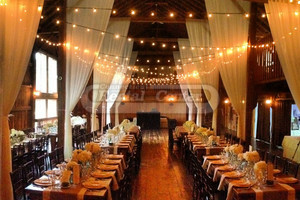 The rustic ambiance of Wesleyan Barn mixed with our Fruitwood Chiavari Chairs and the perfect decor made for a picturesque wedding day. 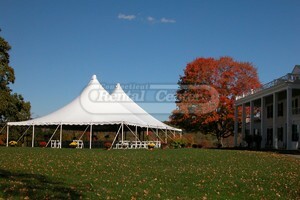 Peak Foliage, Century Tents, and Garden Chairs! You can almost feel the crisp fall air in this picture. 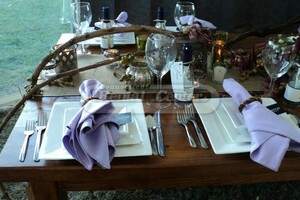 Talk about a gorgeous centerpiece! 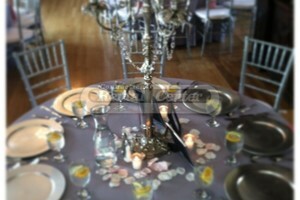 Satin white tablecloths, crystal candelabras, and a hint of purple made for a breathtakingly beautiful table set up. 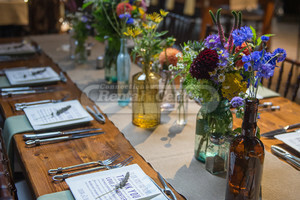 Add the perfect touch of color to your tables with fresh flowers. 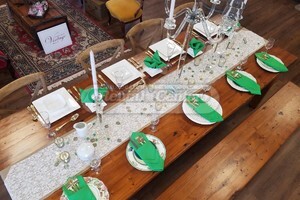 This green and white wedding was one to be remembered! 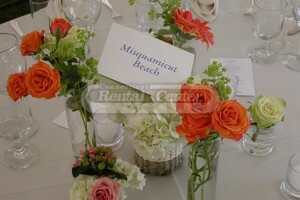 The centerpieces and table settings looked gorgeous together. 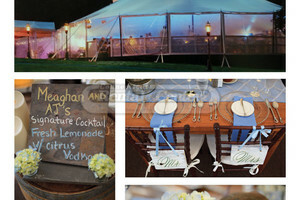 There's no way you could say no to dancing when this in front of you! 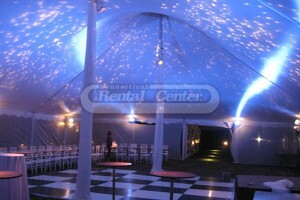 Our Century Tent, Tent Lights, and Checkered Dancefloor was a hit this night. 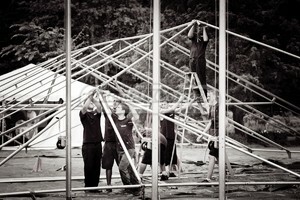 The CT Rental Center Crew hard at work! A little rain won't ever stop our guys from getting the job done. 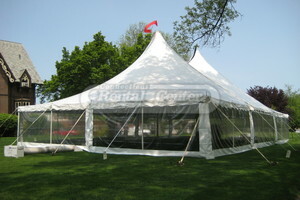 No matter the weather, your tent WILL go up! 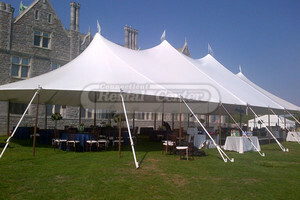 The Wadsworth Mansion tent is specifically designed for the patio at the mansion. 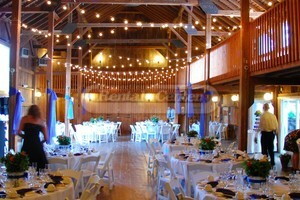 There are options for different lighting, liners, dance floors, siding, and heat.